What are the Advantages and Disadvantages of Ethanol Fuel? Ethanol can be made from sugar cane. Ethanol burns cleaner than gasoline, but can also be corrosive to a car's engine. 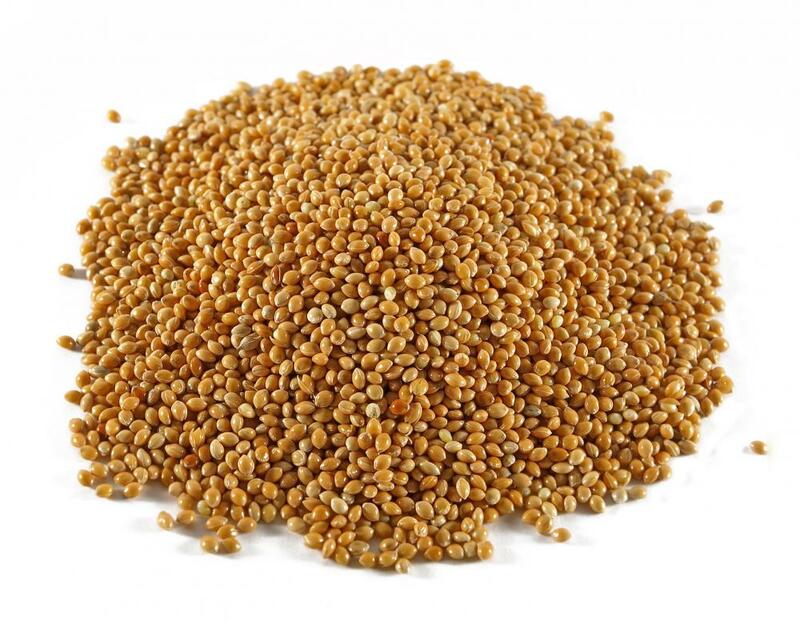 Ethanol can be produced from sorghum grain. 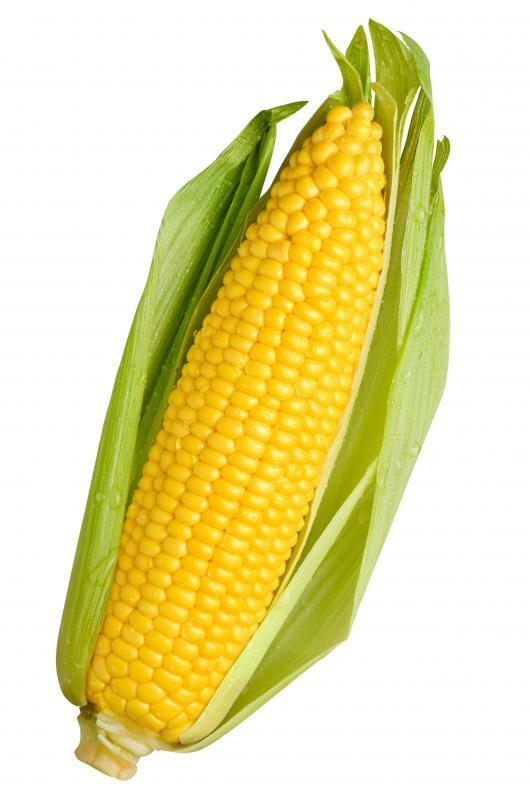 Ethanol is made from corn in many places. In an effort to find a viable alternative to foreign oil, many politicians and environmental groups have been heavily promoting the advantages of ethanol fuel. Ethanol is a primarily plant-based fuel which can be produced from such sources as sugar cane, corn, waste paper and grains like wheat or sorghum. This organic origin is one of the advantages of ethanol fuel most heavily touted by its proponents, who strongly believe drivers would be better served by a dependence on domestic farmers than dependence on foreign oil producers and big oil companies. While ethanol does have a number of advantages over other alternative fuels and the gasoline it would replace, there are also some disadvantages to consider before making a large-scale switch at the pumps. One of the advantages of ethanol fuel is its organic origins. In Brazil, the world's largest producer of ethanol at this writing, used sugar cane is processed to create a form of alcohol, much like the distilling process used to create mash-based alcoholic spirits. In the United States, ethanol is primarily derived from corn. Since corn and sugar cane are both renewable resources grown by domestic farmers, a connection to the land is often touted as one of the main advantages of ethanol fuel. This connection to the land could also be viewed as a disadvantage, however. In order to produce enough corn or grain or sugar cane to meet the demands of the ethanol industry, farmers may have to restrict how much of their crop will be available for other uses. This often means higher prices for animal feed, flour, corn, grains and many products derived from those raw materials. Even if all the available farmland in the United States were converted to corn fields for ethanol production, it still would only meet a small percentage of the country's total energy needs. Corn production can be very labor intensive, and the corn crops could still be vulnerable to bad weather, droughts or insect damage. Ethanol does burn cleaner than gasoline, which is another one of the advantages of ethanol fuel heavily promoted by its proponents. Cars capable of using E85 ethanol, an 85/15 percent blend of ethanol to gasoline, do create fewer toxic emissions. 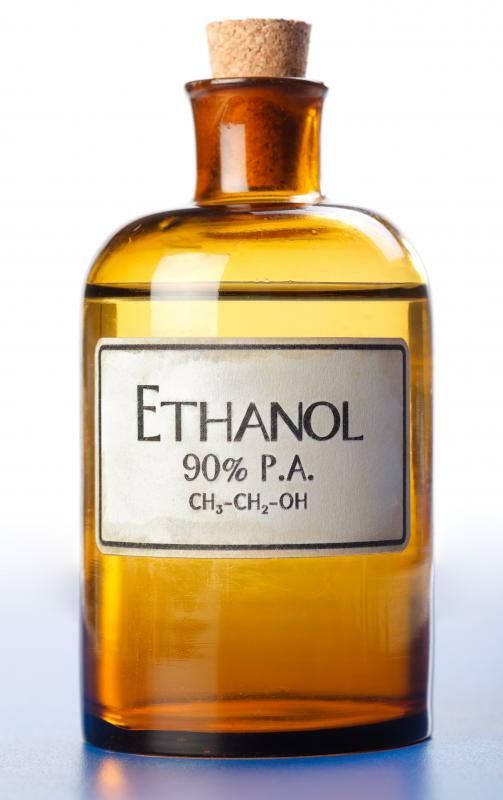 Ethanol does not contain significant amounts of toxic materials such as lead and benzene. By lowering the amount of greenhouse gases and ozone created by car exhaust, the use of ethanol is believed to be a much better alternative to gasoline. Although ethanol does reduce the toxicity of car exhaust, it can also be very corrosive. Ethanol can absorb water and dirt very easily, and if those contaminants are not filtered out successfully, they can cause damage and corrosion inside the engine block. 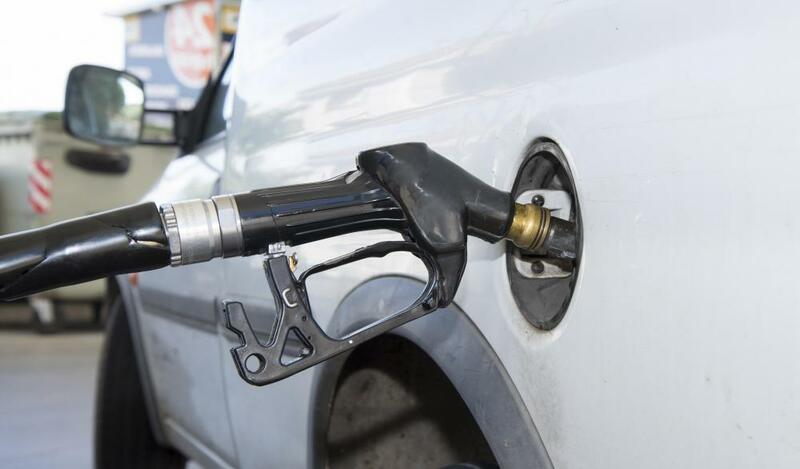 Fuel efficiency is also a consideration when considering the advantages of ethanol fuel. Ethanol, at least in its present form, does not appear to provide the same fuel efficiency as gasoline. Drivers would need more ethanol to drive the same distance, and ethanol prices are expected to be higher than gasoline prices when and if it is implemented on a national scale. Drivers of ethanol-powered cars may also have to drive further distances to find a specialized gas station which offers E85 ethanol. Another one of the advantages of ethanol fuel is the reduced dependence on imported oil. While ethanol may never fully replace petroleum oil as the United State's main source of energy, it can reduce the total amount of oil the country would need to import. Critics suggest that a future dependence on commercial corn would only replace oil-rich sheiks with savvy American farmers, but at least the domestic economy would benefit significantly. All of the peripheral industries connected with farming, such as transportation and food processing, would benefit from the economic demands of ethanol production. This theoretical economic growth associated with ethanol production could have its downside, however. The soil used to grow corn and other grains may become depleted of minerals and other organic nutrients if it is overworked. The amount of additional energy needed to transport and process the corn could result in a neutral or even negative return on the energy produced by the ethanol. Essentially, it would cost more to produce ethanol than the country would ever see in savings over imported oil. The entire amount of ethanol produced would have to be used to meet a percentage of the domestic demand for fuel. Ethanol would not become a profitable source of income from exportation to other countries. The debate over the disadvantages or advantages of ethanol fuel could rage on for years, although many people in positions of power are beginning to actively endorse the increased production of domestic ethanol. Many farmers are also increasing the amount of farmland dedicated to corn production, and more ethanol refining plants are seeking permission to start construction of new facilities. While other alternative fuels such as hydrogen and solar power remain largely in the research phase, ethanol appears poised to be the first one to be implemented on a national scale. What Is a Fuel Vapor Canister? 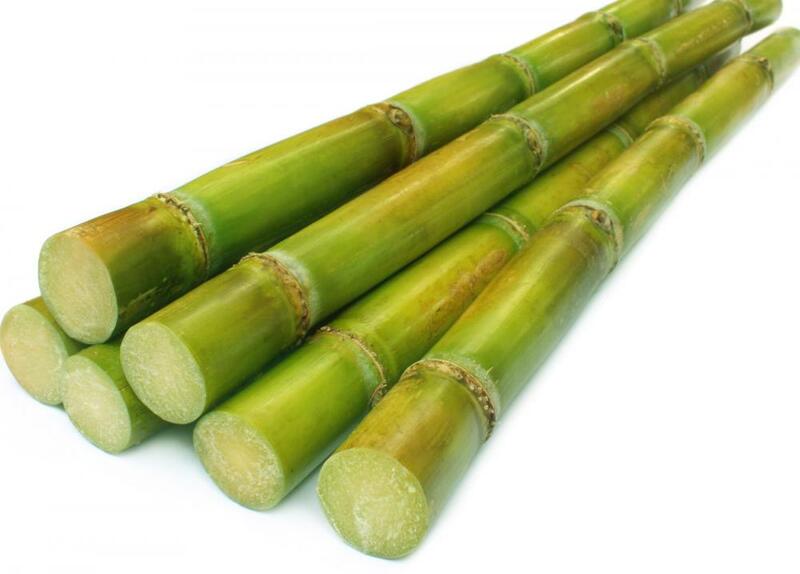 What is Sugar Cane Ethanol? How can I Reduce Gas Consumption? I drive a nice big Tahoe with a strong 5.3L V8. It is rated for flex fuel. The E85 makes it a lot stronger than it already is when compared to just running regular gas. Most of my trips are short so the added power is nice while reducing emissions along the way plus it costs 40 cents less per gallon. If it gets worse gas mileage idk so far I can't tell I'm enjoying the added boost in power! From an engineering standpoint, ethanol is another feel good program brought on by enviromentalists with no real understanding of science. Alcohol type fuels need higher compression ratios and also require approximately twice fuel volume to produce the same power as refined gasoline. It is also very corrosive and not compatible with older fuel system designs. it requires stainless fuel lines and viton type seals. So what is the consumer gaining? Not much, yes alcohol fuels reduce emissions but more volume burned makes up the difference. Also, the corn production and refining process to obtain the ethanol actually produces more emissions than a gasoline fueled engine produces. Not gaining anything in fuel mileage, efficiency or emissions. Ignorance is bliss! Educate yourself. I have a car running on Ethanol. 1. It's not cheap. You use 30 percent more fuel for the same given amount of normal pump fuel. 2. It destroys your engine oil. 2500km oil changes are a must. 3. It's very corrosive. I've been through a set of injectors, rusty inlet runners on my heads, worn valve seats. etc. But, it does make power. Yay. E85 for the normal car doesn't really make it worth it, but again, you're supporting local growers and refineries. It is cleaner and doesn't have that raw fuel smell when first driving when the engine is cold. E85 is 105 octane, so those who have high performance engines- especially turbocharged engines will benefit the most. The typical 2.5L turbo engine will gain 50hp on this fuel alone (after being programmed) Most flex-fuel vehicles have to change between gas and E85 so they are not optimized for power. I have not noticed a huge drop on MPG on the highway- maybe two or three, but the power is well worth it! Since Ethanol has been introduced here in Florida, I find that my hybrid Toyota has reduced its MPG by 10 miles per gallon, in addition a loss of at least 25 percent of its horsepower. What were they thinking when they were so strong on conserving gas, then turn around and create something that requires us to use more gas to get where we are going? Doesn't make sense, does it? I laugh at grown adults riding bicycles, thinking they are Lance Armstrong. Move the bicycles to the bike paths and off the roads. Whenever I pass a bicycle on the road, I always hit my windshield squirters; it gives them a nice mist shower. Take your bicycle and your little bell and buy a real method of transportation. As a cyclist I laugh at all the car suckers. Get a bike and you don't spend money on fuel and get better health. It's a no-brainer. Really, a couple should be able to get by on one car and two bikes. If you're old, or fat or live in hilly terrain, get yourself an electric bike. Do you really need a ton of steel to transport one person? How can you turn ethanol to hydrogen? --A.A.H. I just have a problem with government telling us what we can and cannot put in our cars, our mouths, our homes. It's ridiculous. If I want ethanol free, then dammit I should be able to find ethanol free. Stop deciding for people what is best for us. Vote for Ron Paul 2012. He's the only one who will put the brakes on large government. ethanol is going to kill animals. Bio energy is not as good as nuclear, hydrogen, or Compressed Natural Gas. However, it is a renewable source of energy and there is a lot of lies touted by oil special interest groups out there so lets get the facts straight. for all eternity. Ever see golf courses and vineyards? Renewable energy will always trump finite energy such as oil. Stop listening to the lies and oil tycoon propaganda. Listen to the truth. Biofuels are the future and nobody cares if you believe it or not. Why do you continue to focus on corn? Look at sweet sorghum for a refreshing change, and bear in mind there are 35 million acres in the soil conservation bank that farmers are being paid not to farm! Subsidies in any form are a bad practice. Maybe that's why you academics embrace the practice so quickly. Stop thinking about what benefits your agenda and consider what can truly help the country, because the end of the country is the end of your free existence! Anon you are wearing out the land and making biodiesel non-renewable. Anything containing carbon is technically organic. I myself am a farmer (not the largest in our area but we produce our share) and with the invention of fertilizers there is almost no need for crop-rotation anymore. so your statement is completely void, breadcrumbs51. Ethanol is better for the environment? One of the posts I read said his vehicle has lost 10 miles per gallon and has reduction in horsepower. If a car with lower octane fuel gets 25 miles to a gallon and on a full tank can travel 400 miles, but then uses ethanol ruined lower octane gas. Instead of 400 miles, now he gets 280 miles because his range has dropped and his motor works harder to perform as needed for area that he travels on a daily basis. Now, he has less power, having to work to get it up to the average RPM so it performs correctly, but now he's filling up more frequently. fuel isn't cheaper. He's having engine problems but can't bring it into a mechanic because his extra money he's coughing up to go back and forth to work. Over time his car finally gives up, can't get to work on time, gets fired, can't support his family, can't gas up the car, start pawning things to stay afloat on his bills. After a while, they lose the place they've been living. Social services find out that the family is living out of the car. The kids are taken away, the wife loses it and leaves leaving the husband that has lost everything: house, family and job is now alone. He goes to ask if the used car lot owner will buy it but the owner is willing to pay only a fraction of the real value and has to sell it regardless. So, do you think the car owner gives a damn if it burns a tiny bit cleaner as far as fuel goes? This government really believes we're falling for all of this! Go find out who as far as government people own stock in those corn fields! While electric cars, bio-diesel, hydrogen and ethanol all sound great, the truth is we are 50 or more years away from a true alternative fuel source that is not supported by big oil. the wealthy green boys. Plus it costs $10,000 to $20,000 to convert a car to electric, and a new battery pack in 8 years will cost you about $8,000 to $12,000 on your Prius or Chevy Volt so really, it's a throwaway car. For what? A 50-mile range on electric? Until you need to use carbon fuels to recharge them? Hydrogen: Again, it is just plain stupid to take a base fuel like natural gas, convert it to hydrogen, and try to build an infrastructure all over America to fuel cars (why not just use the natural gas to fuel cars?) plus again, hydrogen is subsidized by the government (you and me). Bio-Diesel: Again, making your own at home from restaurant left overs is really cool, but on a mass basis, if it weren't subsidized by the government, bio-diesel would cost more than carbon-based diesel (should it be developed anyway as a way to get off foreign fuel? You bet! But remember, you and I are paying for it). Ethanol: This is the fuel of huge debate. It takes 4-5 barrels of oil to make four barrels of ethanol (from the time you plant the crop until you get it in your gas tank). Again, if it weren't subsidized by the government, it wouldn't be here! With ethanol, you average a 17 percent decrease in horsepower and fuel economy so the math is this: Unless the cost of E85 is 20 percent or more less than gasoline, you are wasting money. (LP gas or propane is about the same) The truth is, there is a four-mile radius around every plant that is a dead zone: no butterflies, no insects. A dead zone. What is it doing to the people that live there (just like oil refineries)? Also, ethanol mash for cows is actually not healthy, but is a very bad bi-product being fed to animals that give us milk that we drink! You can refuel from home, it's cheap (about 75 cents per gallon from home, $1.41 at the local pump), any car or diesel can be affordably adapted to run it (unlike batteries which will cost you $8,000 to $12,000 in 10 years) and no more work is needed once a car is converted. It is something we can do now, nationwide, just like all the other major countries are doing. Why? It's abundant and it's here now! Engines last longer, you get better fuel economy and more horsepower. It's stored in tanks that are safer than gasoline. I praise all the engineers who are working on alternatives but until they are available without Government subsidies, I recommend CNG. All of you must keep searching, keep dreaming, keep trying to make a difference! Some people ask, is there really a conspiracy? Let me tell you of my own experience. CNG (compressed natural gas) is something that is available now to reduce our dependency on foreign oil now. It's abundant and with all the new wells and technology in drilling for natural gas, hundreds of small companies are now drilling for natural gas, and these companies compete or bid daily to sell their gas to the open market. This keeps the price low. America is building windmills at a proportionate rate So here is the math: if we increase the use of CNG vehicles by 20 percent and decrease the electric companies' need for natural gas, by using windmills, we have a flat demand increase for natural gas and a flat no increase in cost for natural gas. But what about the conspiracy? The EPA (Environmental Protection Agency) is in charge of air quality control, but somehow the EPA was put in charge of testing and approving CNG systems. This is how unbelievable and controlling big oil is. Let's say a company makes a CNG conversion system for cars. The EPA requires the company to pay $250,000 to have that system certified on a specific year, make and model of car. Example: CNG conversion system maker makes conversion system "A." System "A" is tested on a 2008, Ford F-250, with an automatic transmission. The company pays $250,000 for this test to get it certified, but the certification is only good for that model year and make. Is this insane or what? I actually called the EPA and got a young woman who was very well coached on how to handle guys like me. It's as if she was reading off a script. She said, "The certification is for public safety,” so I asked her since when is the EPA in charge of public safety? her answer was that, in the mid-90s, many CNG conversions actually increased pollution. My answer was, can I have the names of those systems and the test results to support what you are saying under the Freedom of Information Act? Since CNG is 90 percent pollution free, how can it increase emissions? (total propaganda). She said that information was not available. I then asked why the EPA and not the DOT (Dept of Transportation) was testing these systems, The DOT sets standards for the tanks used for CNG and LP. What is the EPA doing getting involved in this? when the EPA isn't testing any other products in nuclear? Oil refining? Products made from oil? she had no answer. O.K. That's the scenario. Again, my suggestion is: Have the DOT set standards for the conversion system. A standard conversion system can be used on hundreds of different makes and models. Once a system is DOT approved (one-time expense for the manufacturer), then require that system to be installed by a CSA certified installer / inspector, require an emissions report after the system is installed, and a CSA report passing the system, then require that the system is reinspected every 36,000 miles or 36 months. Doesn't that make sense? The truth is, the EPA is not empowered by Congress to certify anything. I am personally offering a $100 reward to anyone who can get me the name of the Congressional committee and members' names who wrote these laws and empowered the EPA to senselessly restrict the use of CNG in this manner. They are only in charge of air and water quality, not approving or disapproving anything. #14 i am a 14 year old and by reading your little comment its obvious that the federal government's involvement raises the cost of everything! it's unconstitutional. you need to think about the costs and benefits! post#11 states that ethanol produces 1 to 2 percent more co2 than gasoline. However, you failed to note that the source of the co2 is from the air, the plants take up the carbon dioxide, turn it to sugar, and then we turn it into ethanol, so it's a closed loop. Burning fossil fuels, on the other hand, turns long buried carbon into carbon dioxide, increasing the amount of co2 in the atmosphere and increasing the greenhouse effect. Many people exclaim that routing food sources to fuel processing will starve us. However, there is government intervention to prevent the grain market from being flooded with grain. Some farms are paid not to farm, and there are tons of grain that are left to rot rather than sending it to market, because it would lower the price of grain. Why not send this excess grain to fuel producers to decrease our dependence on fossil fuel? Although on a 1 to 1 mol basis pure ethanol produces less CO2 than iso-octane (gasoline), since it is energetically less efficient (it is already partly oxidized = burnt) one needs to use more on a given traveled distance. The resulting CO2 output is about 1 to 2% greater than for iso-octane over, say, a 1000 km drive. I get less mpg with 10% ethanol. It takes energy to produce ethanol-including fossil fuel. It has raised food prices when there is a hue and cry about so many of the people on the planet are not getting enough to eat. Another scheme that has had bad consequences that could have been predicted. It is and was a political decision to favor the elected officials from the corn states. Only the subsidy and coercion has made it happen. Organics of all sorts are in great demand, even stuff that one used to pay to have taken away is now an income stream. Ethanol is probably not as good a choice as methanol, which can be made from things like wood chips and corn stalks and hemp, but building methane digester on farms and powering farm equipment with methane makes a whole lot more sense than carting crops to a plant to be turned into ethanol. And ethanol is *not* profitable without price supports. Before the government stepped in, few ethanol plants managed to even pay all of their suppliers, much less make a profit. it was proven technically feasible, instead of practice ally dismantling the space program like the Reagan administration did, we could now be a net exporter of energy without *any* fossil-fuels. No coal or oil or gas fired plants, no hazardous shipping of all of these and no air or water pollution. And it would be *much* harder to attack a space-based system than Earth-based power generation plants! 1. We have not even looked everywhere on the planet, so we only know about a fraction of the hydrocarbons which exist. 2. The estimated recoverable reserves are just that, estimates, and they are constantly re-evaluated based upon new technology and what is not economically recoverable today may well become economical in the future. 3. Hydrocarbons are *very* common in the universe, and there are thousands of Earth masses of the stuff just within the orbit of Neptune, with unknown but probably tremendous multiples of that quantity in the rest of the Solar System. I personally am against vegetable based fuels for the following reasons. They require too much arable land, they also emit large quantities of nitrous oxide, which, as a pollutant gas makes carbon dioxide look tame. Better it would be to get into algae based fuels. It is important to remember that ethanol has three purposes: replace our dependence on energy from countries that hate us, diversify our energy supply so that disruptions don't throw the country into a tailspin, and clean the air (OK, I'm not counting indirect land use change related greenhouse gases - those are based on an unreliable model that cannot even prove that it works through back calculations). Yes, it is true that ethanol costs more than gasoline. Ethanol production is still in its infancy compared to oil refining. It is still in its first generation for feedstocks. And it is true that ethanol is less efficient than gasoline, which is natural since it has a lower energy density. OK, we get it...ethanol isn't gasoline. But eventually we'll run out of gasoline so we need to develop a replacement, and ethanol is by far the furthest along in development of the biofuels. Oil companies would need to be banned from having any involvement with ethanol, if the price to motorists is to be kept reasonable. The CEO's of most oil companies should be in jail for their fraudulent practices. Yes, ethanol can run in nearly any engine, but it is corrosive to rubber, so you might want to check your fuel components. can ethanol works in carburetor engines? i say we go with solar power from space, even though it takes lots of money. in the long run, it'll be worth it. Part of the problem is that farmers are wearing out the land trying to grow enough corn and not practicing crop rotation, not growing it organically.